Here are two #1 New York Times Bestsellers in this one boxed set. The books – both board books with rounded corners are titled Steam Train, Dream Train and Goodnight, Goodnight Construction Site. What is most unusual is that both of the books, obviously intended for very small children, are quite text-heavy whereas most board books are light on text. Both books use rhyming verse and full-page coloured illustrations. 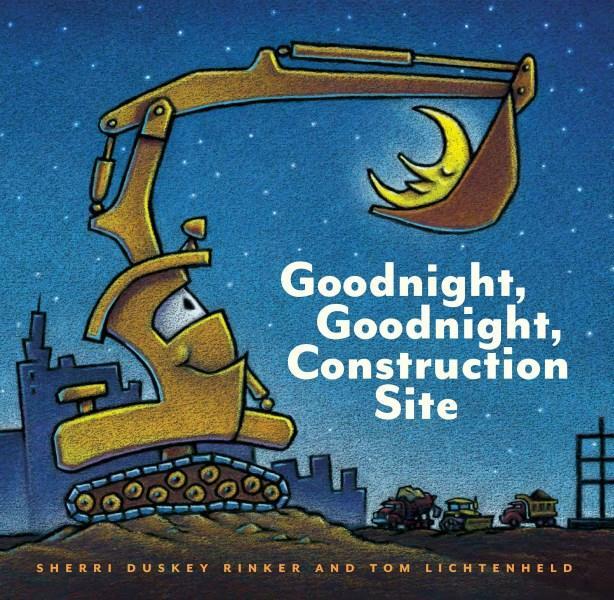 In Goodnight, Goodnight Construction Sit, heavy machinery is building a road so machines such as cranes, cement mixers, dump trucks and bulldozers are mentioned. They work during the day, but at night, ‘No more huffing and puffing, team/It’s time to rest your heads and dream. Obviously parents of small children buy plenty of these books so there is certainly a big market for out of the ordinary board books.